US District Judge Billy Roy Wilson has dismissed a lawsuit brought by Energy Transfer Partners against BankTrack, a Dutch nonprofit that had the gall to write to banks to ask that they cease providing financing for the Dakota Access Pipeline. That’s what BankTrack does—pressure banks to stop financing projects that do not lead to a just and sustainable world. ETP also sued Greenpeace and others last August, alleging they all were conspirators in an international criminal enterprise aimed at halting pipeline construction. 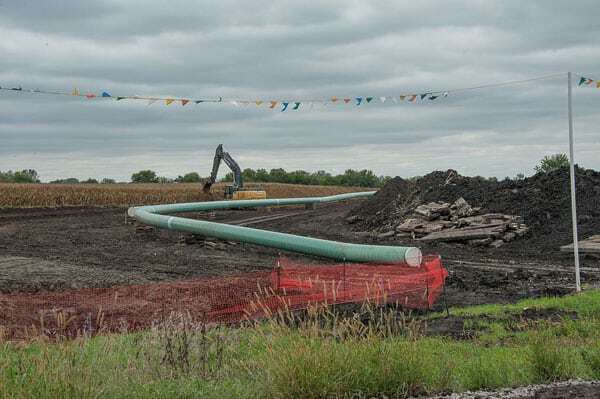 According to Amy Dalrymple at the Bismarck Tribune, “Energy Transfer Partners alleged that the defendants incited, funded and facilitated crimes and acts of terrorism to fraudulently induce donations, interfere with pipeline construction and damage the pipeline developer’s business and financial relationships. Submerging social criticism in a flood of lawsuits is one way to try to quell public participation in social policy. But in this case, where suits were brought by charter school advocates against a researcher who was making her findings public, it did not work.